I’m so excited to reveal my birthday gift from hubby! Rob bought me a Cricut Explore Air for my birthday this year. I have videoed the unboxing, so much excitement I got a little carried away, and my first paper based project. There is a second video, which is available later this week, which shows how I completed the setup card project. I explain what I did wrong (due to over excitement) and the video shows you how to complete the project properly. What did I think of the Cricut on first use? I was surprised by how solid a bit of kit it is. I thought that from the online photos it looked like a light weight printer. Its a solid sturdy piece of hardware. I have tested the Cricut Explore Air with paper cutting, writing and of course with heat n bond backed fabric. I have so many plans for the system to create applique designs for my sewing and quilting projects, the fabric cutting was really important to me. It cut through card quickly and cleanly. The was true for a fabric. No missed sections and smooth, clean cuts through out the image. I will be exploring the product further, looking through the accessories and giving you my thoughts on the online design space and the i-phone app over the coming weeks. On first opening and playing I believe this is a good quality bit of kit. Even my skeptical hubby, Rob, has said how impressed he is. 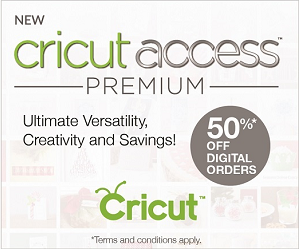 If you are a Cricut user please share and hints or tips on getting the most out of it in the comments below.